The Golden Nugget Sedge Pupa gets down quickly and in clear waters can be used for stalking. Hook : Scorpion Super Sedge. Bead : 3 mm golden nugget. Body : Cinnamon seal's fur or substitute. Rib : Finest gold wire. Wing stubs : Mallard, primary. Collar : Cinnamon seal's fur or substitute. 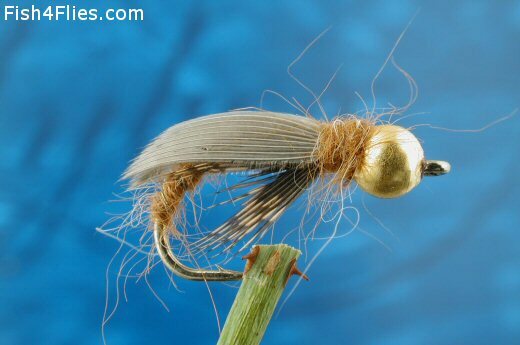 Currently there are no comments about the Golden Nugget Sedge Pupa fly pattern from other fly fishermen yet.